So, just about a month after Dreamforce, Salesforce.com is coming to New York for one of its regional Cloudforce conferences. The event will be at the Javitz Center in Manhattan on October 19. Salesforce is expecting six thousand attendees. The focus of the event is supposed to be on the newly re-announced Marketing Cloud — the amalgamation, so far, of Buddy Media and Radian6. I will be briefed under NDA about the news to be announced at the event but that hasn’t happened yet so, hey, let’s speculate. As many of my colleagues have suggested, the Marketing Cloud is a good and important down payment on a full-featured marketing component but it is heavily weighted toward social marketing. They expect more acquisitions primarily to beef up the Marketing Cloud’s lack of a conventional marketing campaigns element — the kind that runs traditional marketing programs. I am not so sure. Salesforce already has a bevy of more or less conventional marketing partners in the AppExchange like Eloqua, Marketo and others. It’s true that these vendors are not monogamous but so what? They have good connectors and integration and are doing everything they can to carpet bomb, er, I mean cover, the Salesforce installed base so why buy what’s free? My instincts (which are right about half the time — and less when I’m driving according to my wife) tell me that Salesforce is going in another direction. 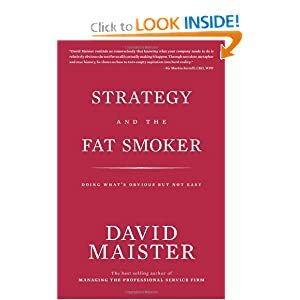 The company has always exhibited a Blue Ocean Strategy approach to its business seeking out niches that haven’t been named and I expect it to do the same in marketing. That means they’ll concentrate on the myriad ways to market in the social world. If they make an acquisition — and I bet there’s nothing on the radar right now — it will be to beef up social marketing not conventional stuff. That would mean companies like HubSpot or Awareness or Nearstream or others (some in the CRM Idol contest) that use a healthy dose of new age thinking and social media to access and communicate with customers. So, what to look for in New York? In addition to October baseball, I think you’ll see elaboration of the basic message doled out at Dreamforce. The San Francisco session was packed with information and image-making and there really wasn’t time to unpack all of what the Marketing Cloud means for customers. I think Cloudforce is the place where the unpacking will happen. Salesforce has been great at three-pronged marketing for a long time. That’s where they tell you what they’re going to tell you, then they tell you and finally the circle back to tell you what they told you. I think they’re at part two and Cloudforce New York will be more of a deep dive. I could be very wrong but that’s what it means to speculate. Right? But there’s something to this proposal that ought to be taken seriously and when you talk about trillions of dollars you are presumably talking seriously. Global GDP in 2011 is predicted at $68.65 trillion by the International Monetary Fund and the Marketo announced figure was spread over three years. But that’s a lot of improvement no matter. To put this into perspective you have to back up and ask about the assumptions involved and Marketo was kind enough to anticipate the questions and perform a little research. According to the announcement, Marketo did some analysis of its customers’ revenues as they took advantage of the company’s marketing automation, sales effectiveness and analytics tools. Side note: No one’s crown jewels were harmed in the analysis. Having a big pile of relatively homogeneous data for analysis is a side benefit of multi-tenant cloud computing. Multi-tenant cloud computing could provide important analytic benefits like this to all users if we could only 1) Put down some ground rules governing the use of the aforementioned crown jewels, thus creating a data commons; and 2) Get over our hang-ups about maintaining the pristine nature of our data in clouds. Really, it’s like the five year-old who can’t stand seeing the peas touching the mashers on the plate. But I digress. The three tools, marketing automation, sales effectiveness and analytics, combine to provide the tools a company needs to implement revenue performance management strategies. RPM is still a relatively new idea but other companies like Eloqua, with whom Marketo competes and Cloud 9 Analytics (a Marketo stable mate in venture capitalist Bruce Cleveland’s menagerie) are conspiring to give the idea critical mass. In the nub, RPM is simply about using the data that is routinely given off by our business processes as fodder for the analytics engine. Too often the data goes unused or simple reporting engines choke on the abundance. 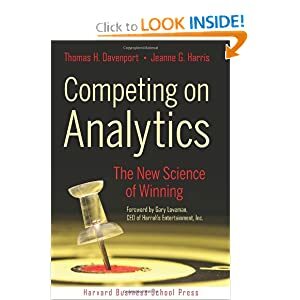 But an analytics engine spits out all kinds of ideas like what to offer the customer based on its experience, or generally offering insight that a human eye might miss but which a statistical model would discover easily. So, two and a half trillion bucks over three years averages out to a bit less than one percent a year. In percentage terms that is not much but the existence of all the zeros in a trillion will get your attention. After all, that’s growth and incremental improvements like this are how markets and economies grow. More importantly, the ROI can be stunning. Given the fact that RPM would not be applied evenly across big corporations and lemonade stands, the places where it could make a difference would notice the change. Moreover, the cost of implementing RPM where it’s needed would be much less than the incremental gains, especially with modern cloud computing delivering the tools cost effectively. I am not an expert on RPM, yet. I am more like the one eyed man in the land of the blind. But my thought is that we ought to get familiar with this idea, which is essentially applied analytics. Our economy is still climbing out of the recession and the jobs numbers that I have seen for May are disappointing. Every recession ends with some new product or idea taking off and leading the way. I haven’t seen the big new idea yet but maybe this is it. Regardless, a little investigation won’t cost anything. “Conspicuously absent from Salesforce’s network of role-specific “Clouds” is one that centers on the marketing function. Is the Radian6 acquisition the beginning of a Salesforce Marketing Cloud? Someone on the investor conference call asked Marc Benioff whether this was the first move toward business-to-consumer. His answer was worth noting: ‘We’re really seeing the beginning here of the Marketing Cloud.’ Given the excitement we have seen around Revenue Performance Management – a discipline that requires both sales and marketing data – in the executive suite, it is not surprising to see Salesforce moving this direction. “Personally, I think Salesforce will continue to make acquisitions “around” the marketing automation space (such as Jigsaw and Radian6) without moving directly into the category; I also would not be surprised if they bought an email service provider. Salesforce has never shown much interest in a “Marketing Cloud;” they seem more interested in Chatter, the Force.com Platform, and Service Cloud 3, and I suspect future acquisitions will focus on augmenting those capabilities more than in marketing. It reminds me of the old joke, if you want three economic opinions ask two economists. We’ll need to wait a while to know which is right but I’m betting on Payne’s analysis more or less. IMHO Salesforce has been deficient in marketing for a long time. Perhaps that’s because marketing’s business processes have been more amorphous compared to sales and service. But more likely, it was because Salesforce grew up selling to emerging tech companies that were selling new category products. Your marketing needs in such a situation are rather minimal. But today, there is much less category formation going on — that will likely change with the introduction of the tablet PC— but for now, companies wanting to sell, and who doesn’t, need to market like many of them never have. Marketing and customer intimacy have driven the social CRM market for several years and the demand destruction caused by the financial meltdown a couple of years ago tipped the scale. That’s why ideas like revenue performance management are so important today and in order to do RPM you need tools. So it’s not surprising that Salesforce bought Radian6. It was time. Our newest thought leader interview features Thor Johnson a marketing guru you’ll want to check out. Thor’s background includes a Harvard MBA and nearly four years at the helm of marketing in Eloqua’s early days. That position gave Johnson invaluable opportunity to help define marketing in the age of automation. The effects of some of Eloqua’s early innovations are still being felt as numerous companies climb onboard the bandwagon that Eloqua created. But what’s Johnson up to today? What does he think of the rush to marketing automation? He’s into some very common sense ideas like accountability which is why this interview is so worth reading if you follow this link.